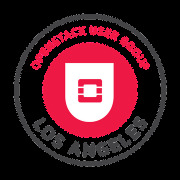 OpenStack L.A. July Meetup/OpenStac­k 7th Birthday Celebration! Magnum – OpenStack Containers Service. The May OpenStack LA Meetup. OpenStack'­s Not-crumbling Infrastructure.­ The March 2015 OpenStack L.A. Meetup. Open Stack and Big Data - How and When? "There once was a distro from SUSE"